Are you planning to have a baby in Japan? Please see all my blog posts here about how to prepare for birth in Japan, Japanese hospitals, and the vaccination schedule. Would you like to apply for Japanese nursery school (daycare)? Please see my blog posts here about the Japanese system and how to apply. Do you need help with planning your trip to Tokyo? Make sure you get my Tokyo Guide which includes interactive map of baby-friendly locations in Japan as well as my new online Kyoto Guide! For all media inquiries, please kindly email me directly. I wanted to leave a comment on the prefered H&M look but just went too fast and pressed entry. Don’t know how to come back so I’m leaving you my comments here. First well done again on the fantastic datas & videos you’re gathering for us. The looks that are my favourite are 5 and 6. 5 because the Denim look is so easy to wear & comfortable on any occasion, plus the stripped T-Shirted reminds me so much of the “french mariniere” a classic and trendy must have of many French women !! Look 6 as it’s just beautiful and so easy to wear when it’s very hot. I’d either wear it with a small cardigan (bolero style) or a light white shirt with a knot under the breast. LOVE your comments on Looks 5 and 6! It is okay to click enter on Rafflecopter first and afterwards leave a comment. Thanks Kheira! I’ll post your comments on the H&M Maternity Wear Giveaway post. Hi Holly! Thanks for your message! That’s exciting that you’re thinking of coming over. 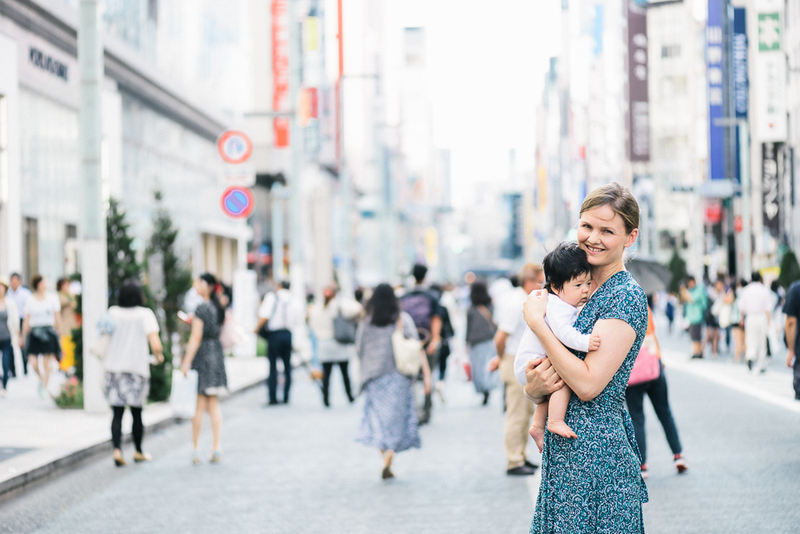 One of the beauties of traveling to Japan with young children is that it is such a fascinating place, it is easy for the kids (and parents) to enjoy! My first place to recommend would be Harajuku, where you can see traditional Japanese weddings at Meiji Shrine, Elvis impersonators at Yoyogi Park, Japan’s youth culture, Cosplayers, and one of the biggest 100yen stores in Japan along Takeshita Street. Then if you walk along Omotesando you can enjoy looking at the shops, go to Kiddyland toy shop on Cat Street, and shop for souvenirs at the Oriental Bazaar. If you enjoy art you can keep walking up Omotesando to Aoyama, where you’ll find the Nezu Museum which also has a beautiful Japanese garden where the kids can run around and explore. It is also possible to walk from Harajuku to Shibuya along Cat Street. There is a tiny cement playground on the way next to Freshness Burger shop where the kids could have a climb and play. In terms of kids clothes, when Erin came over in January we ended up going out of Tokyo to a place called Futako-Tamagawa which had heaps of kids clothing shops including H&M Kids (which we couldn’t find in the city). This place is all undercover too, so perfect if you come in winter or on a rainy day. If the sun is out, you could walk down to Tamagawa River for a play on the grass. Japan doesn’t really have ‘playgrounds’ like we have in Australia – most of them are indoor such as the Children’s Castle in Shibuya. This could be fun to visit though to see where all the Japanese kids go:) There are also a lot of great places to visit if you do some day-trips to other places such as Kyoto. Hope this helps! Hello kathy…nice blog and very informative. I ma going to further my study this december at Fukuoka, Japan. I will bring together my 2 old months baby (my EDD is on October) and plan to bring my frozen EBM. Is there any restriction from the Japan imegression or any special procuder to bring frozen human milk? The question regarding frozen breast milk is at the bottom of the page (in Japanese) – it says breast milk is treated the same as medicine, so it is possible to take the necessary amount you will need on the plane for your baby. It also says to make sure you keep the breast milk in a separate bag and show it to the security officers when you go through the security check. Good luck and I hope your study goes well in Fukuoka! Could you write something about the Pregnancy Health check-up coupons issued from the ward office and how do we use them? I stay in Kawasaki ward (Kanagawa-ken) but my hospital is in Minato-ku (Sanno Hospital in Akasaka).Do you know whether I can still use all 14 coupons during my prenatal check-ups? I am 33 weeks right now and my hospital has used only 5 coupons so far..I am not sure whether it’s some specific to Sanno Hospital or because my resident ward is out of Tokyo. Would you be able to provide any info on this? Hi Reisha, Thanks for your comment and congratulations on your pregnancy!! I think by 33 wks I had already used 8 coupon tickets, so it sounds unusual if you’ve only used 5 so far. I’m not sure about whether you can use tickets across prefectures (from outside the Tokyo 23 wards). I think the best way to find out is to ask at your local ward office in Kanagawa – you could ask at the Foreign Residents Desk and they should be able to help/translate for you? Hope this helps and all the best with the remainder of your pregnancy and birth! Here is some extra information from Tomoko! I looked up Kawasaki-shi web site, and found that Sanno hospital is listed as the hospital out of Kawasaki-shi but still you can use coupons for your check up. So, it sounds strange that they only spend 5 coupons so far…it could be used for your check up every time to save your money. I also found that you may be able to get your money back later on! In Japan, it’s very popular for pregnancy women to have birth at their home town. 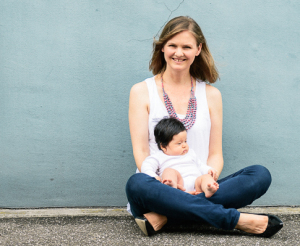 Just like me – I live in Tokyo, and I had maternity check up in Tokyo, and went back to my home town when I was 30 weeks pregnant and had check up and birth at the hospital in my home town. I could use coupons during I was taking check up in Tokyo, but of course I could not use it at my home town. However, after coming back from my home town, I got my money back from Meguro-ku ward based on the coupons and receipt. Kawasaki-shi also has this system. I just quickly looked up the web and found those information, so I recommend that you would visit Kawasaki-shi office with your hospital reciept and Boshitecho(booklet for mother and baby) and ask them if it’s possible to get your money back. Thank you so much Kate and Tomoko! That’s a big help. I did remember the Ward Office guys checking and confirming for me that I could use coupons in Sanno. I am still not sure why my hospital has asked for it only 5 times so far. I am going to visit ward office again and will also talk to my hospital staff. I hope they are able to clarify any doubts I have. Thanks again guys. You Rock! I have just read the email from the Tokyo Pregnancy Group that you will be giving a talk on Thursday about giving birth in Japan. I hope you don’t mind me contacting you in advance. I am a mother of three expecting my fourth child in April. I had my third child here two years ago and sadly it was not a positive experience (unlike my first two births). There are a whole host of reasons for this. I am obviously keen to have a better experience this time round – particularly as it will be my last! I am currently thinking of giving birth in Nisseki Hospital with the mid-wife unit. My third birth was at Seibu with Dr Sakamoto. It is not easy for me to make the talk as it is half term and I have three children at home this week. I hoped you wouldnt me asking where you had baby and whether it was a natural birth. My three births have been natural and with no epidural and I am trying to find the hospital/set up which we will give me the right support for this type of birth. Thank you for your message. That’s a shame you can’t make it on Thursday to the TPG meeting. You must be very busy with three young children though:) I am flat out with just one baby……I don’t know how you do it with three and another on the way:)! I had my baby at Tokyo Medical Hospital in Meguro-ku (next to Komazawa Park). It is a Japanese public hospital and they encourage natural birth (no epidural is available). I had a long labour followed by a caesarian, but I still look back on the experience as a positive one in terms of the care that I received. Most of the communication was in Japanese though – my Doctor could speak English very well, but the nurses could only speak Japanese (I can speak Japanese so this was okay). I had been interested in going to Aiku or Seibo, but we chose this hospital as it was within walking distance from our apartment and was more reasonably priced. Regarding recommendations for natural birthing clinics in Tokyo, I spoke with my business partner Tomoko Momose. Tomoko checked the reviews on the internet from Japanese mothers, and she said Nisseki had many good reviews. Some of the reviews said that Nisseki is too strict about breastfeeding, but overall most had a positive experience. If you are interested in looking at some other natural birthing clinics, we would like to ask for some more information in order to respond as best we can. Please understand we are not midwives and we don’t have any medical qualifications, but we can try to help by checking the reviews in Japanese and the hospital websites. There is a lot of fantastic information in Japanese on the internet which might be of help for you! I will send you an email. Based on your reply, we will check the reviews in Japanese on the internet and try to give you some other options for hospitals. Of course, even if there are good reviews about a hospital, not everyone has the same experience, so please understand there is no guarantee…However, it might help to have some options other than Seibo and Nisseki, if those two are your only options right now. Also, are you a member of the TPG and TMG group on Facebook? Many people ask these types of questions about hospitals on these Facebook groups, and it is a great way to receive replies from different mothers about their personal experience. Hi Kate. I’m 28 weeks pregnant and registered at Nisseki. I’ve been searching for Tokyo Medical Center in Meguro since I am exploring the possibility of giving birth there as well since it is within walking distance from my place. I understand you gave birth there before. Who’s your doctor there by the way? I checked their website but it is all in Japanese, and though I can do some conversational Japanese, I thought it would be better to ask you for some advice regarding their policies, VBAC, reservation system, husband presence in the room, video recording, etc. Grateful for your time and kind insights. Thank you in advance. Hi Jo! Thank you for your message! I had a different doctor with each appointment, but all were great and could speak English. Hi Vanessa, Thanks for your message. Sorry I don’t know the mothers groups in Osaka, but have you tried Fran? She lives in Osaka and has a wonderful blog called Fran-Japani: http://fran-japani.blogspot.jp/ If you email Fran she might be able to help you:)! All the best! Hello, Congratulations for your very good blog ! My husband got a job in Tokyo for the next 3 years and my daughter (15 months) and I follow him with some excitement. In France we give “3rd age milk” to children between 1 and 3 years. Is there something similar in japan ? if yes is there some organic brand ? Thank you very much in advance for your help on this. Madeleine and I come to Tokyo in May / June this year. Looking forward to discover Tokyo with a baby ! Hope this helps and all the best with your move (^^)! My name is Noriyuki Sakai. I am student of Keio business school that is master degree school of Keio university. Now, I am studying about baby clothes market for my class with my class mate. However, we do not have baby. My class mate already had a wife but they do not have baby yet. Hi Kate, Your website is very nice, thanks a lot for that! I have an one year old daughter and I really appreciate your advices. My husband will work in Yokohama for 1 month and we are going together! I hope we can enjoy it so much. I am a litlle concerned about baby foods, diapers, hospitals (if it is needed, I hope not) and places to go with her, If you can help with some more advices I really appreciate it! I’m mainly concerned with feeding her at restaurants. When we go out For dinner here in Indonesia , we carry a booster seat to keep her from running all over and give her few munches on the tray. However it might be too bulky to carry especially with Japanese public transport. Thank you for your review on the Joolz Day Tokyo. I was wondering if you could tell me if this would be your number one pick for a pram in Tokyo. I am pregnant with my first and trying to decide what to get that will be best for my baby and functional here in the city. Do you know where I can go in to look at the Joolz Day/Tokyo and perhaps purchase it? The only issue some may have with the Joolz is if your station doesn’t have an elevator or escalator, so you have to carry or push the stroller up and down the stairs. For example, when I go to Tokyo Midtown on the Hibiya Line, there is no escalator or elevator to go directly to Midtown, so I have to catch the elevator at Roppongi Hills and then walk to Midtown. This is not a huge issue though – just adds on an extra few minutes of walking. Another station I have had trouble at is Yokohama Station. I was just there on Saturday and it was a nightmare! Very hard to find elevators and escalators. But I think this kind of situation would have been a struggle with any stroller. Hope this helps! Merry Christmas! We are moving to Kichijoji in June and have two kids ages 9 months and 2 1/2. I was wondering if the Kichijoji123 playgroup is still around or if there are any other english playgroups/meetup’s around the area. Also, what International Preschools would you recommend for our toddler? Do you recommend using a stroller for one or both kids? I have an ergo, so I think that will help a lot for the little one– but as far as our toddler goes–I’m not sure if our single stroller will be too big for the restaurants/shops? Hi Stefanie, thanks for your message! That’s exciting that you are moving to Japan with your children! Regarding playgroups and preschools, a great place to ask this question is the Tokyo Mothers Group. Have you joined the Tokyo Mothers Group on Facebook? They have a closed group forum where parents ask lots of questions and all the mothers in Tokyo give feedback. If you join the group on Facebook, I think this would be a great place to ask about playgroups and preschools. You can also search for previous conversations on the same topic within the forum, so you can see what other people have written. Regarding strollers, it is really up to you about which you feel most comfortable with. If you are going to use a double stroller, I would recommend a streamlined stroller such as Phil and Teds, which is easier to get through the ticket gates at the train stations. I also see many parents with one stroller for the older child, and then carry the baby in the Ergo. If you need a rest, you can also borrow a free rental stroller at the department stores. This is a great option and really popular with Japanese mothers. Hope this helps and all the best with your move to Kichijoji:)! Hi Kate we are new kidscafe and just open 7th of JULY. please check out our place. we dont have English page yet but we think very nice place for mam course we have two suns and my wife is Russian. I got your information from a friend of mine from the US, Rachel Chen, who used to say in Tokyo with her hubby Marcus. I am not sure if you remember her, but she recommended that I contact you. I am Japanese and I was born and raised in Hakodate until I was 18. Then moved to the US and just moved back to Japan about 2 months ago. I am currently looking for a babysitter who speaks English and I am kind of stuck. My daughter’s friends’ mothers all say they don’t know anybody who has a sitter, which surprises me! How do mother go out and/or take a break here !?!? Anyway, if you could help me out, that would be wonderful!! I’ll be visiting Tokyo with my husband and 15-month-old daughter next month. So glad I came across your blog – very informative! We’ll be staying in Tokyo for about 2 weeks and have rented an apartment. We’re looking to rent a crib for our daughter to make our stay more comfortable. Do you recommend any website(s) where we can rent a crib from? Hi Mansee! Thanks for your message. That’s wonderful that you are coming to Tokyo with your baby and that TUB is helping you plan your trip :)! Nice Baby is a popular website for renting baby goods. Here is the link. It costs about 6,000yen for 2 weeks rental. Unfortunately all the rental websites are in Japanese, so might be best to ask a Japanese friend to help you with the booking. Hope this helps and have a wonderful trip! 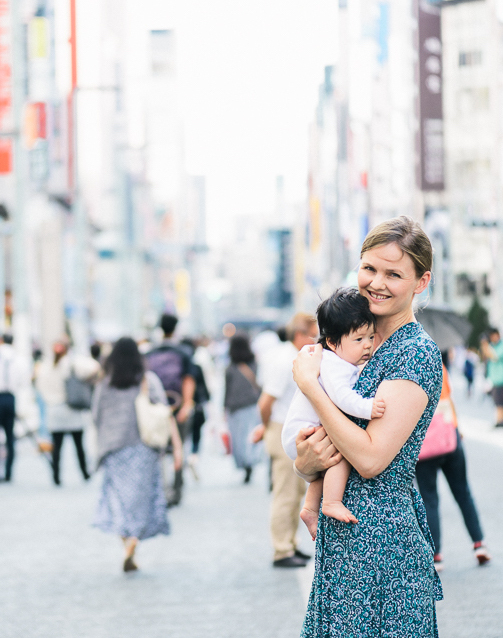 I came across your website when searching for traveling to Tokyo with baby and it was really helpful to see some of the tips. I am thinking of a stopover in Tokyo in Jan 2016 and I gather it will be cold? I actually wanted to ask if t is safe to visit Tokyo after all the hooha about the radiation in Fukushima? Might be a stupid question since I will only be in Japan for a week…but I still have this naggy feeling since I have a baby girl who will be 1 years old by then. Obviously there are so many opinions about this so I just wanted to know what is your take on this. Hi, thanks for your post “5 Steps – How to enjoy Tokyo Disney Sea with a 1 year old baby”. I understand that babies enter for free, but would one still need to book a ticket or inform prior to the day? I’m planning to buy my tickets online. Thanks!